The Insulation-resistance shall be taken with all the winding earthed, expect, the one being tested. While checking the value, external line, cable and lighting arresters shall be isolated from the H.T Switchgear. The entire terminal shall be cleared thoroughly, with clean cotton cloth. A 5000/2500V Megger should be used in the measurement. Care should be taken that the lead wires of the megger do not have joints or come in contact with each other or with H.T Switchgear. It is known that the value of Insulation Resistance is continuous to increases initially, with the duration of measurement and hence for the purpose of comparison, the reading is normally taken at the end of 1 minute Minimum Insulation Resistance after 1 minute is Rated Voltage + 1 Mega Ohms. 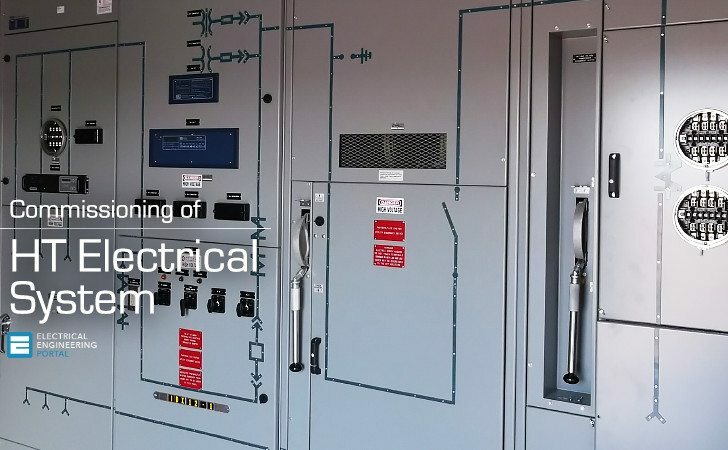 This test, used on medium and high-voltage circuit breakers provides information as to whether the operating mechanism of the circuit breaker is operating properly. This test can be used to determine the opening and closing speeds of the breaker, the interval time for closing and tripping, and the contact bounce. The test provides information that can be used to detect problems such as weak accelerating springs, defective shock absorbers, dashpots, buffers, and closing mechanisms. For performing this test we use Time Interval Meter – SCOT M3K, The following show the connection drawing of testing equipment wit H. T Switchgear. Using the connecting probe the R terminal of Breaker is connected to the R terminal of Timer kit the same is done for all the other terminals(Y & B). The trip coil & closing coil connection are also brought to the Timer Kit. Before conducting the test the spring has to be charged by manual or using spring charging motor. And the rated control supply (A.C/ D.C) will be given to the panel. Using the timer kit close the charged circuit breaker. Now record the time (mill second) displayed in the timer kit. The same is performed for opening of circuit Breaker. The recorded millisecond value will be compared with the manufacture datasheet.